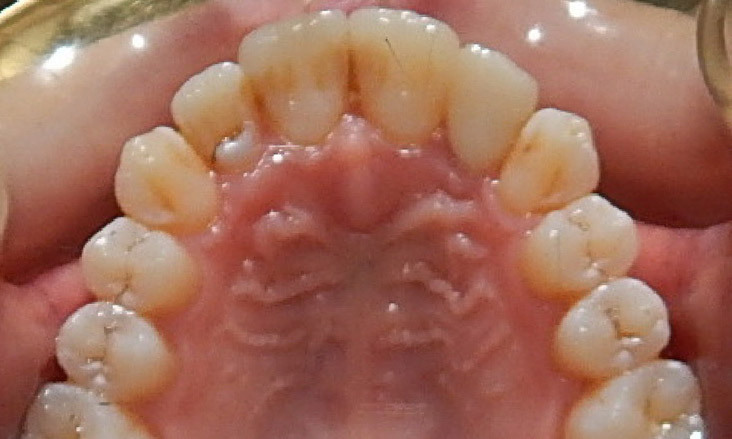 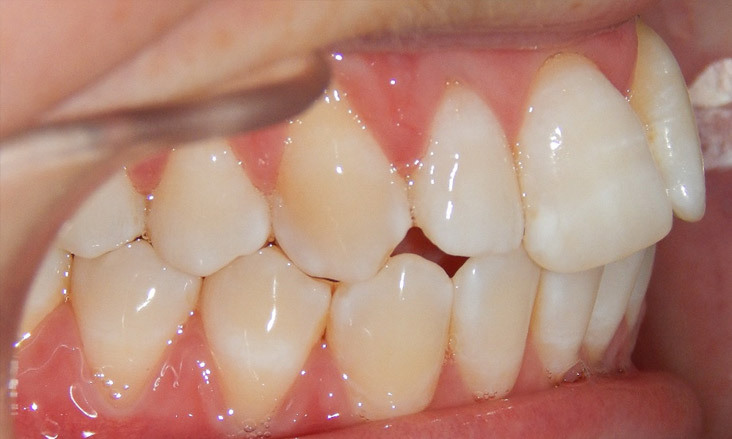 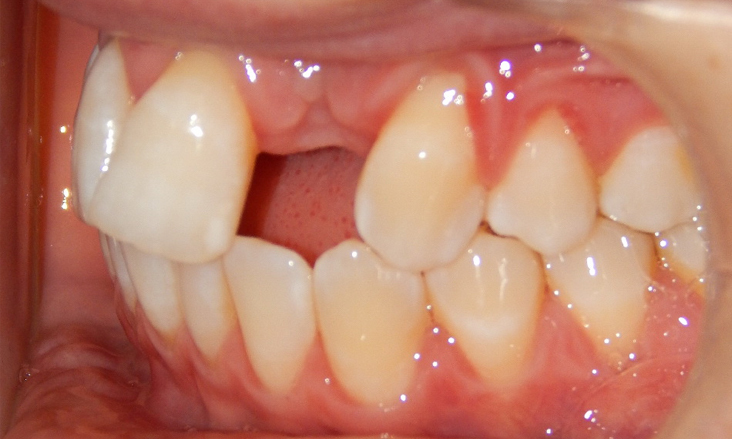 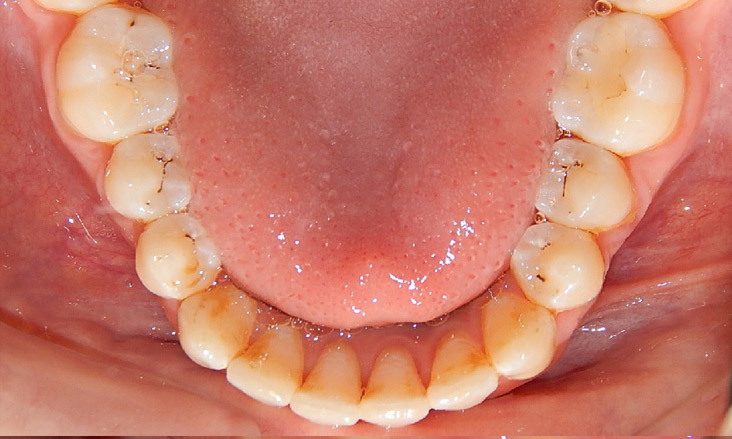 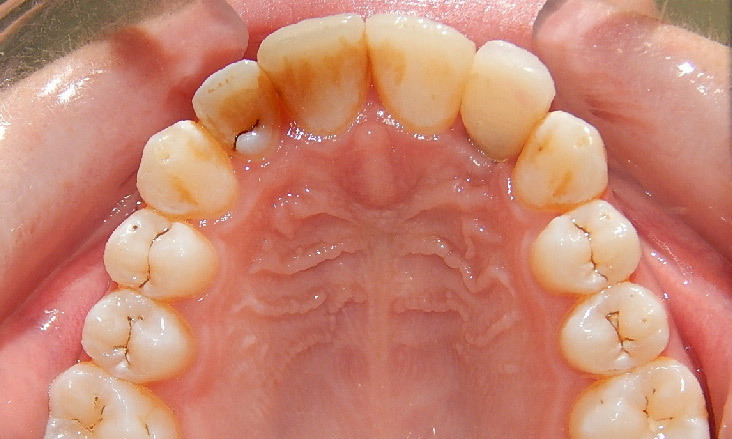 When teeth are missing one option for treatment is to place a dental implant and then a crown on the top of this. 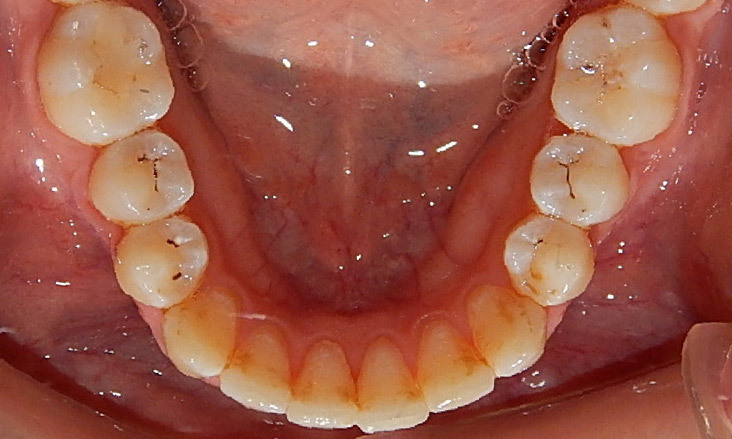 Sometimes teeth need to be moved to better positions to ensure an ideal result. 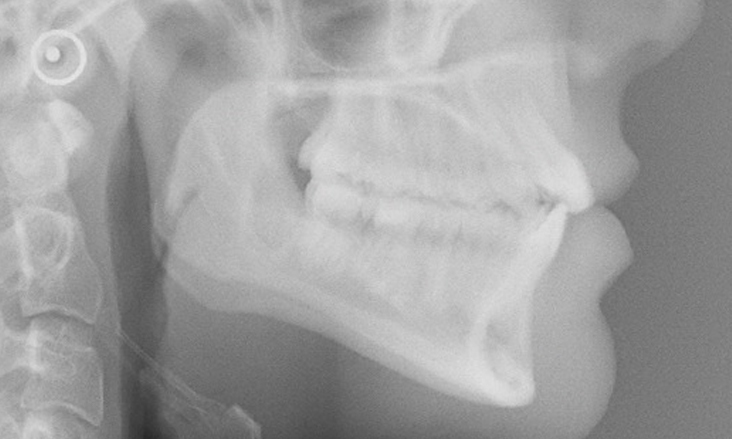 In this patient the upper left lateral incisor tooth (#22) needed to be removed as it had been previously damaged and was resorbing as shown on the OPG x-ray. 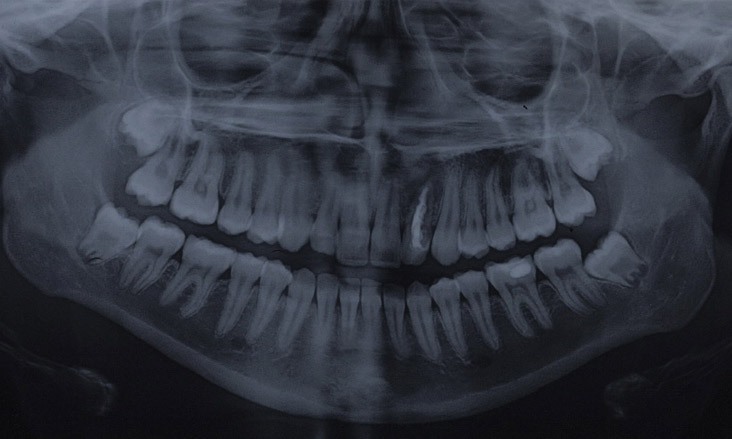 The decision was made to place a dental implant. 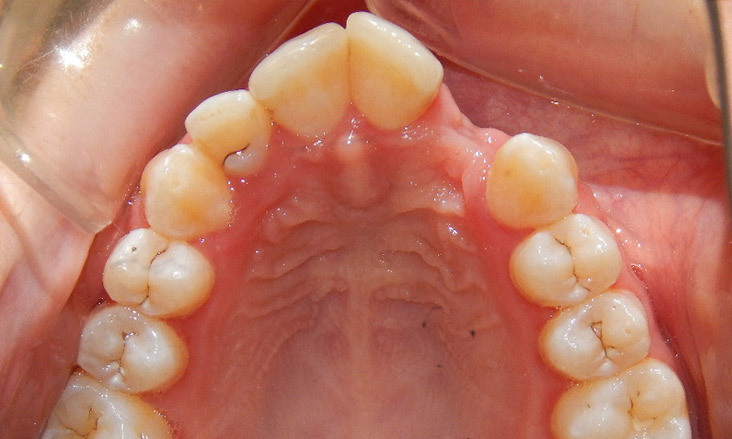 Braces where precisely placed to move the upper and lower teeth to the optimal positions to allow the dental implant to be placed in an ideal location to ensure the best result. 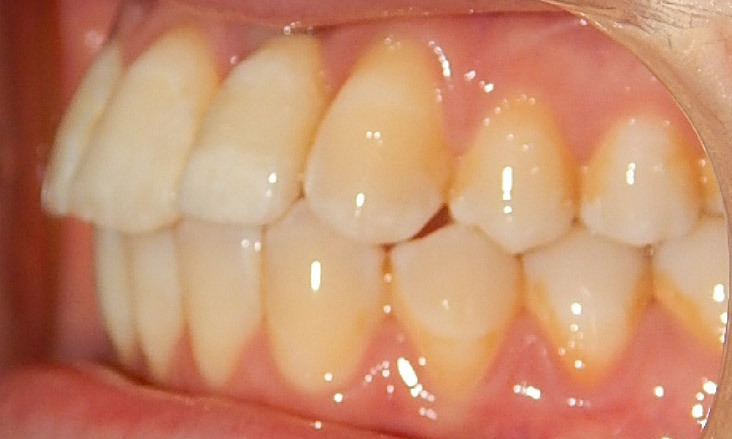 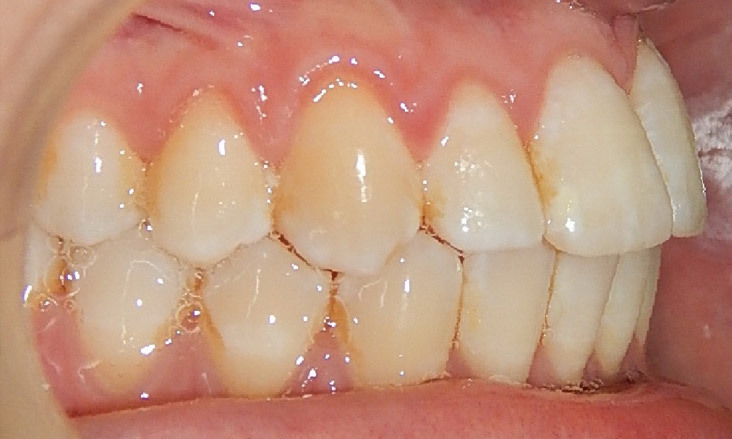 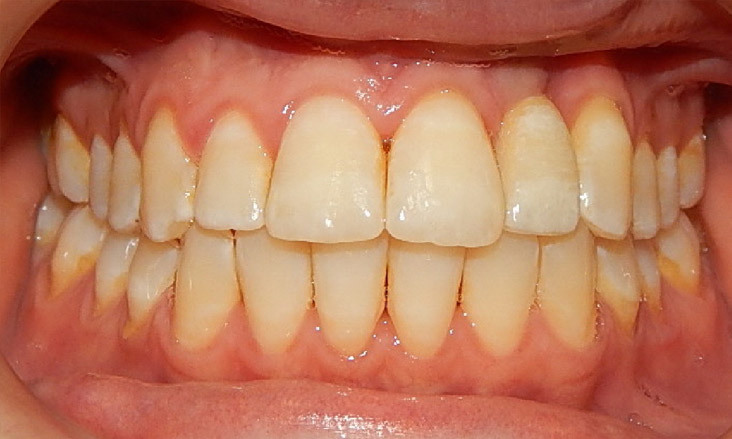 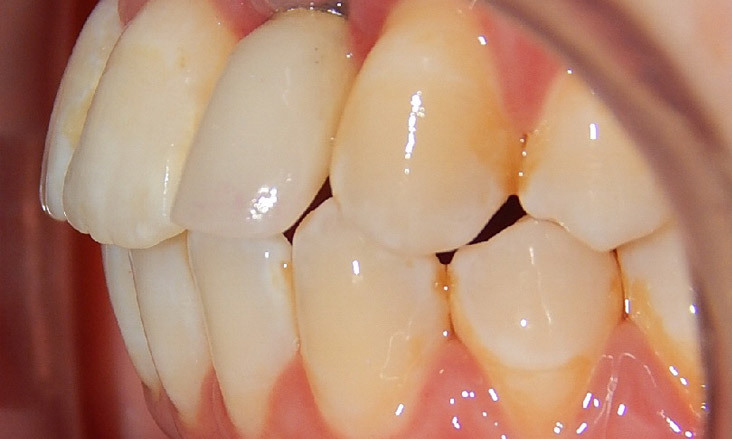 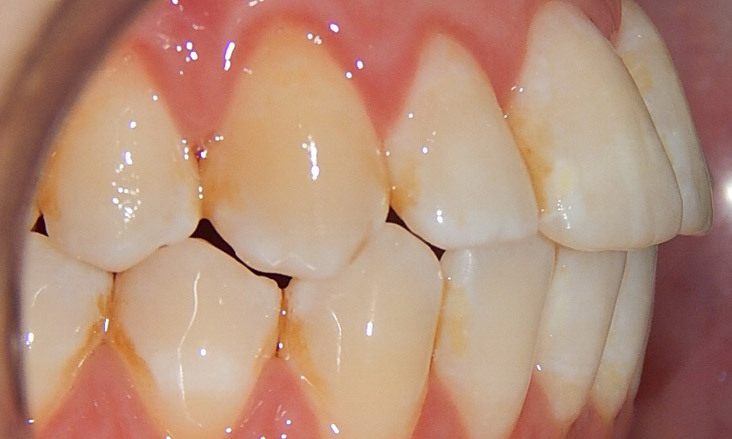 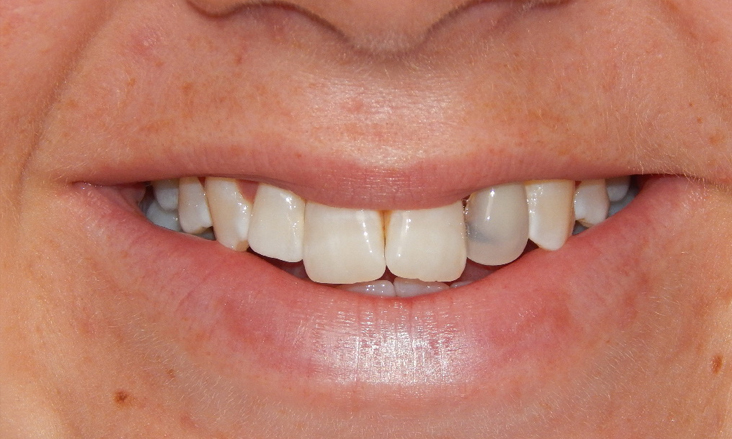 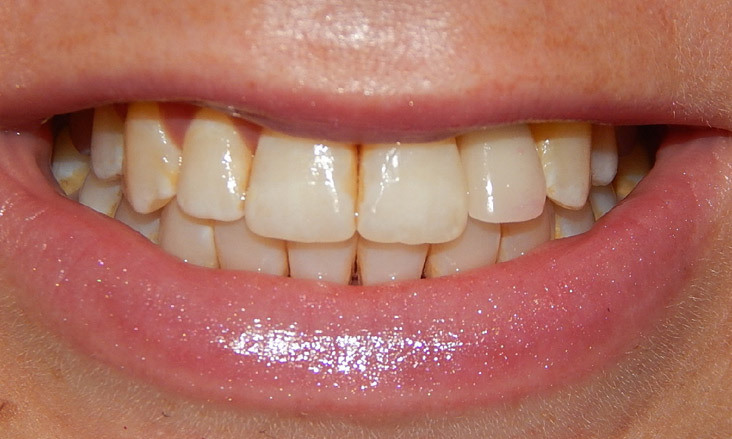 The dental implant has been restored with a porcelain crown. 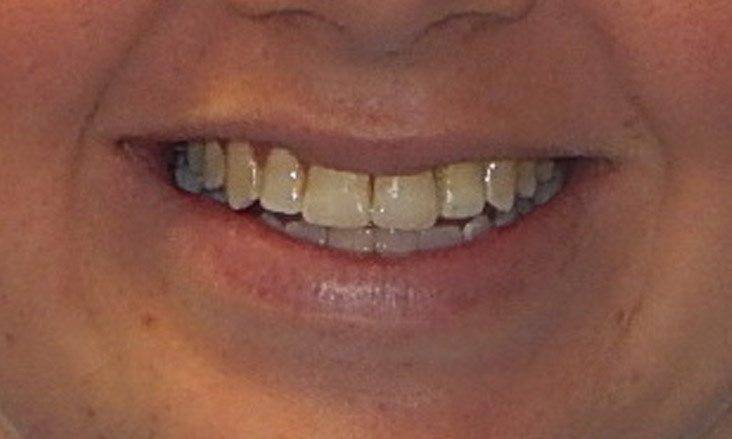 Retainers have been replaced. 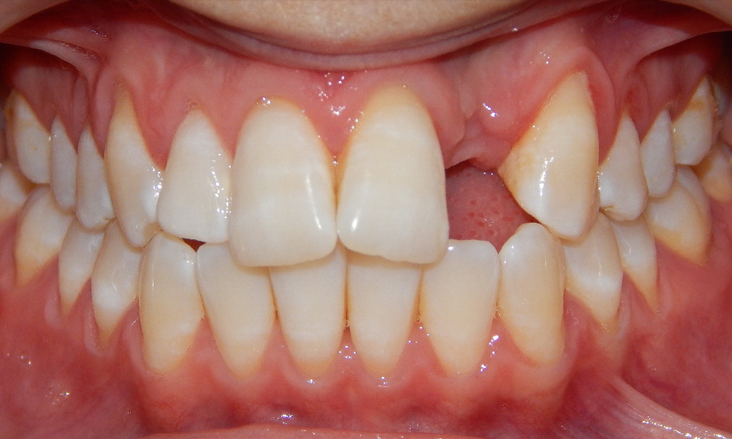 The upper and lower teeth have been moved to the optimal positions to allow the dental implant to be placed in an ideal location to ensure the best result. 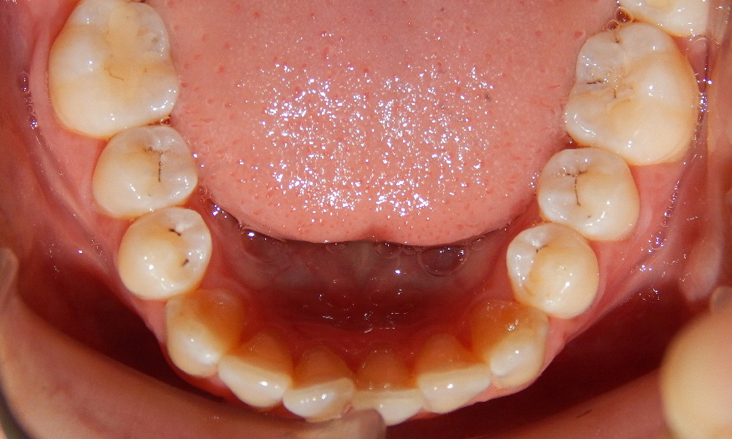 Braces have then been removed and retainers placed to hold the teeth in the optimal positions which the dental implant integrates. 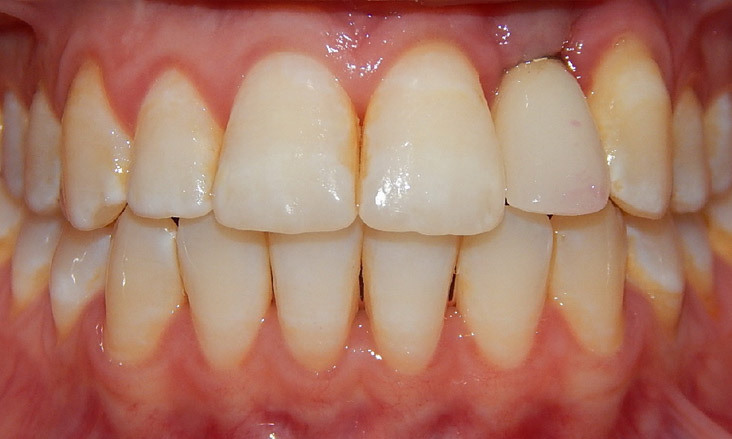 Without diligent retainer wear the teeth may move again which can make fabrication of the crown for the dental implant very difficult.